Waupaca bed and breakfast travel guide for romantic, historic and adventure b&b's. 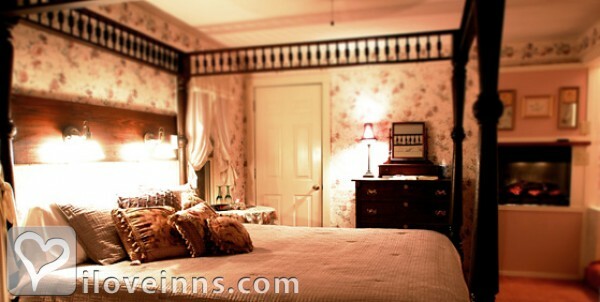 Browse through the iLoveInns.com database of Waupaca, Wisconsin bed and breakfasts and country inns to find detailed listings that include room rates, special deals and area activities. You can click on the 'check rates and availability' button to contact the innkeeper. The absence of the usual structures that make up a modern city is what makes Waupaca a chosen destination. The fresh air and the green scenery make it perfect for relaxation and for busting stress. Roam around its refreshing gardens or take a cruise aboard Chief Waupaca Sternwheeler of the Lady of the Lakes. The latter is said to be the best way of enjoying the city's clean and clear lakes. To relax the mind, an ideal place would be the Riverside Reflection Garden. Other options in Waupaca are Nelson Park and Whispering Pines Park. All these are accessible from Waupaca bed and breakfast inns. By Crystal River Inn B&B.